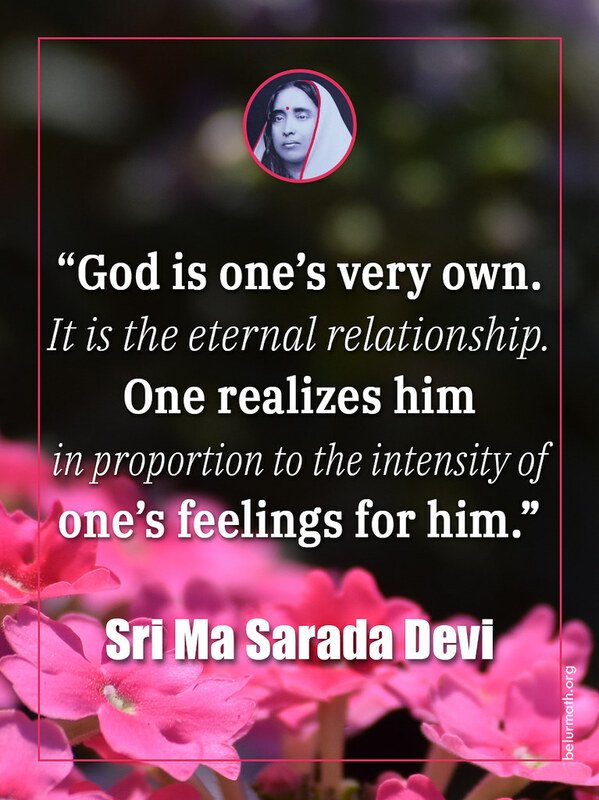 God is one’s very own. It is the eternal relationship. One realizes him in proportion to the intensity of one’s feelings for him.